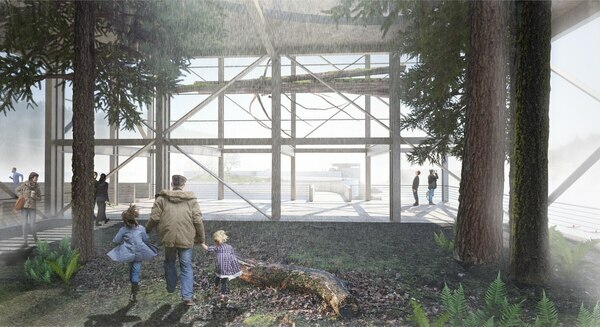 The final designs have been revealed for the Riverwalk near mostly-unknown Willamette Falls. A new wonder will soon be revealed in Oregon City. For a century and a half, Willamette Falls was hidden behind industrial buildings. But when the Blue Heron Paper Mill closed in 2011, Clackamas County officials saw the potential to uncover the second-most powerful waterfall in the country and create public access. This week marks a major step towards that vision becoming reality. It will still be another five years until anyone will use the path, but this week, final designs have been revealed for what Oregon City is now calling the Willamette Falls Riverwalk, which will provide access to the falls that hasn't existed for 150 years—with paths parallel to the falls and the PGE dam, as well as a visitor's center and huge gathering spaces. 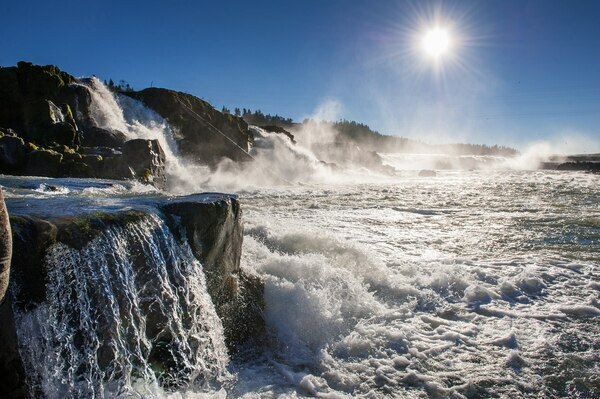 "Willamette Falls will become an iconic destination on par with Vista House, the Gorge and Multnomah Falls," Brian Moore, project manager of the Willamette Falls Legacy Project, told WW in February. 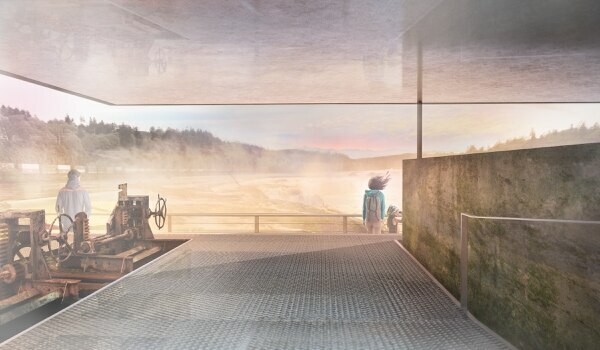 Designs include a giant public yard with bleacher-style seating, a visitor's center, a porch-like promenade that runs parallel to the river, an overlook offering 360 degree views of the PGE dam—which will also have its own promenade—and a two-level lookout spot, which will bring you up close and personal with the falls. 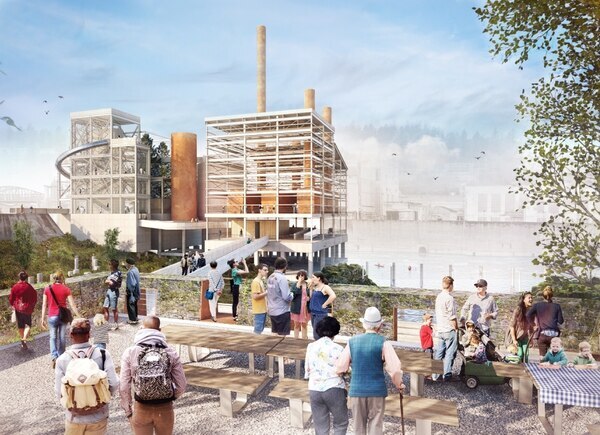 This Saturday, the Willamette Falls Legacy Project will celebrate the design unveiling, where renderings will be on display and where a time capsule will be buried. They plan to open the capsule in 2050, if there is even still an Earth then. Groundbreaking is set for 2018, and completion is set for 2022.